Many people prolong their visit to the dentist and risk the appearance of dental deterioration along with some serious teeth problems, only making things worse. The main reason behind this is fear. Namely, some people are afraid of the pain that, usually, goes hand-in-hand with one's visit to the dentist. Thus, in order to prevent the pain, many people prevent the dentist. However, this will prove to have been a wrong choice, once dental decay takes a more serious step and starts being painful and unbearable. Therefore, it is better to have healthy teeth and after short exposure to pain, than to have terrible dental health and suffer for life. All those who still are not convinced and do not desire to have anything with the dentist's office, might take sedation dentistry into consideration. 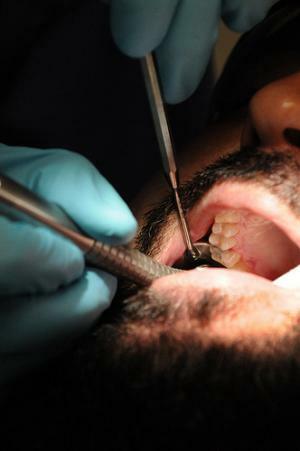 Namely, this form of dentistry, as its name suggests, involves drugs being given to patients. This results in their calmness and increased pain tolerance during the procedure. Logically, this method has helped many people overcome their fears of dentists and endure many painful procedures. Thus, it might be the trick for you as well. You will not sleep, nor will you be under the same drug as anesthesia. Regardless, you will be more relaxed and cooperative, feeling much less fear, discomfort and pain. First of all, as mentioned above, this method relieves you of anxiety and fear. As an effect, you will have no problems visiting your dentist regularly, if you know that you will feel nothing, be relaxed and still have excellent teeth. This is even more right for longer procedures like having dentures placed, pulling out a problematic tooth etc. Secondly, children are always a problematic group, when it comes to their visit to the dentist. However, with sedation dentistry, children too can be calm, obedient and relaxed, following adequate instructions and enduring the processes wonderfully. Additionally, sometimes, a patient may be enduring a terribly difficult procedure, like, for example, a dental operation involving cutting, stitching and other, extremely painful aspects. Here, sedation dentistry is an excellent choice. Also, sometimes, when the dentist is unable to locate an adequate spot for administering anesthesia, sedation can prove to be a valuable alternative. Even though this method is highly recommended, there are several things to bear in mind. Sedation dentistry may interfere with the heart, blood pressure, or other medications. Patients using prescribed medication for any of these conditions should consult with their dentist, or even their doctor, before opting for such treatment. Additionally, since this method is applied intravenously, it might cause problems with people who are afraid of needles or develop a swelling at the injection spot. Finally, people with underlying health problems should also consult both the dentist and their doctor before taking these sedatives. And, also, cost of sedation dentistry may discourage many, since it is not low, especially not in the US. My three years old boy hates his dentist. What to do?